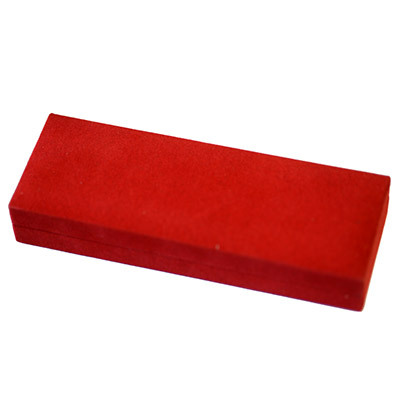 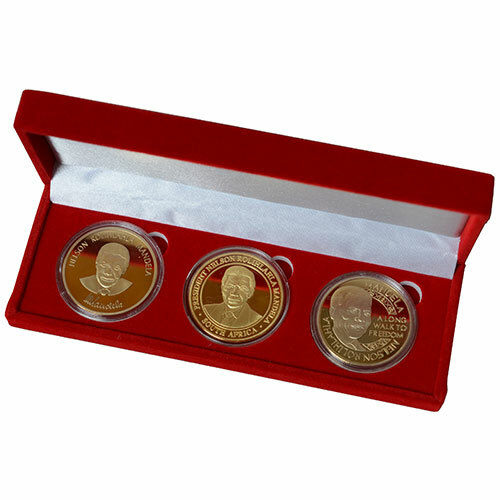 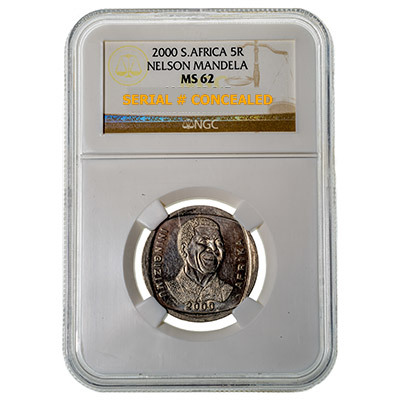 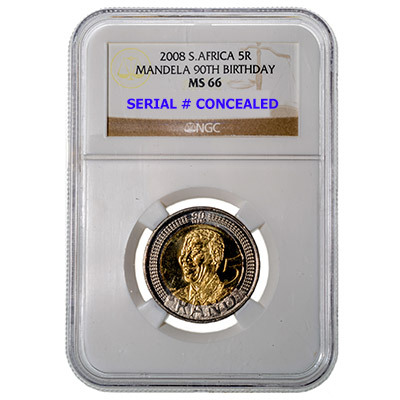 Honor Nelson Mandela with a 38mm Bronze Medal. 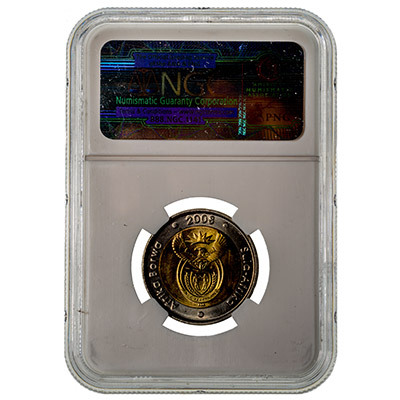 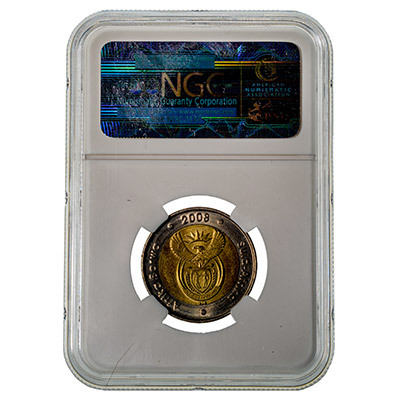 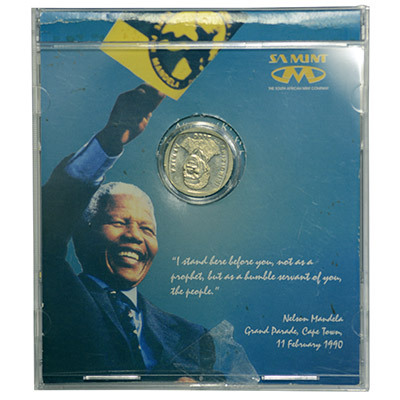 The Nelson Mandela Bronze Medal is a miniature replica of the Congressional Gold Medal awarded to Nelson Mandela at a ceremony at the U.S. Capitol Building on September 23, 1998. 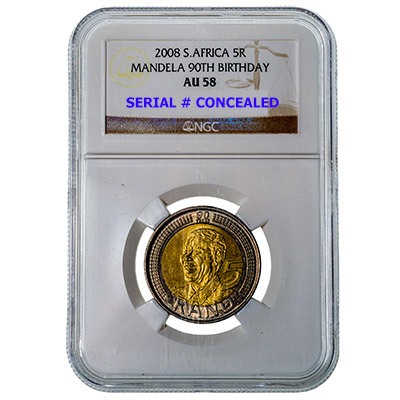 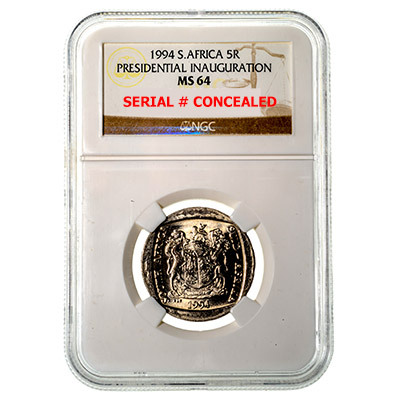 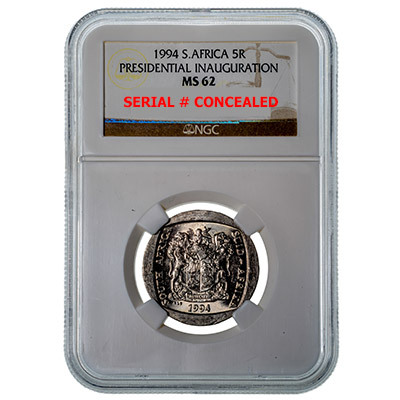 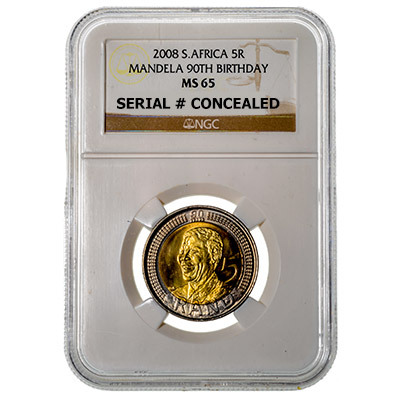 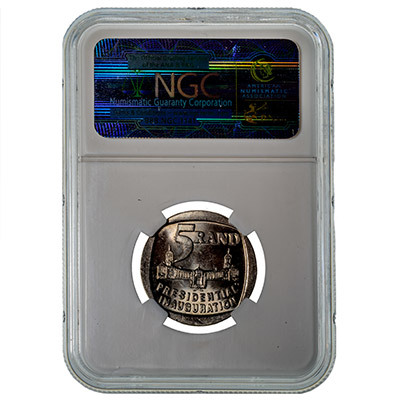 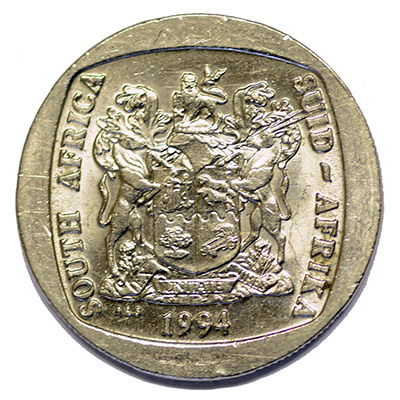 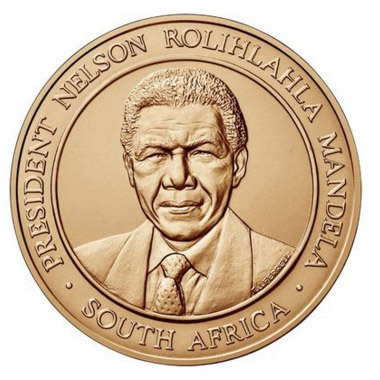 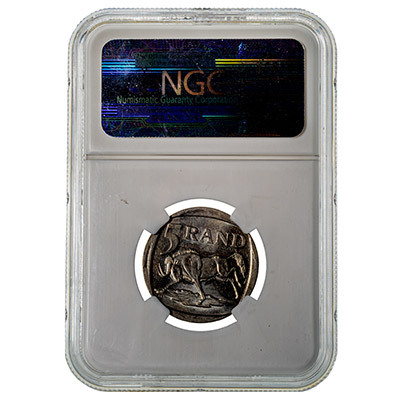 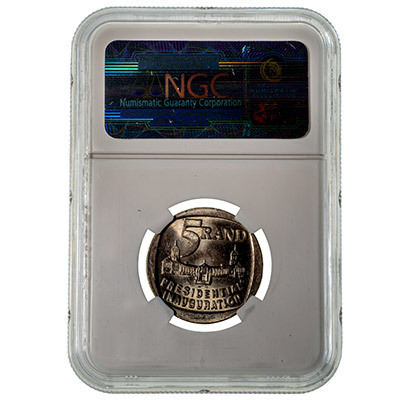 The obverse of the medal features a portrait of Nelson Rolihlahla Mandela with the inscription “PRESIDENT NELSON ROLIHLAHLA MANDELA SOUTH AFRICA” appearing along the border of the medal. 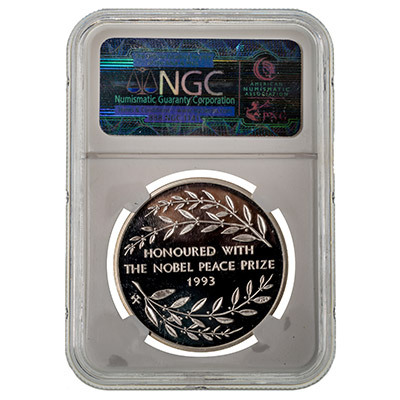 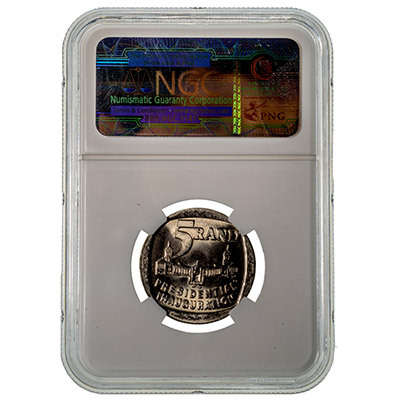 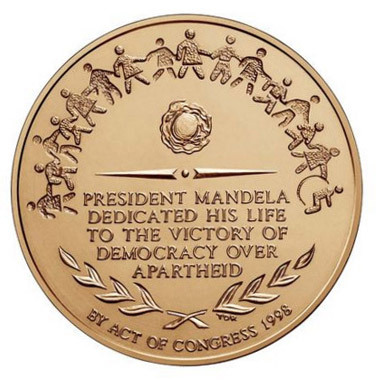 The reverse design features the inscription “PRESIDENT MANDELA DEDICATED HIS LIFE TO THE VICTORY OF DEMOCRACY OVER APARTHEID” in the center of the medal. 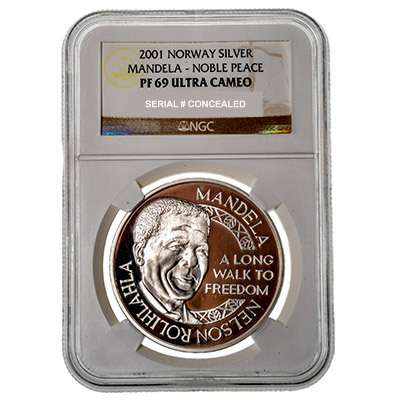 Compass points and a decorative spindle are featured in the upper center of the medal. 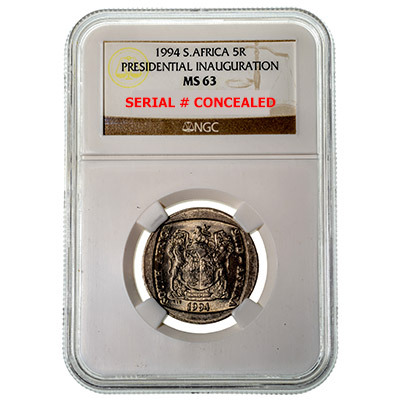 Children linked together encircle the upper border and the inscription “BY ACT OF CONGRESS 1998” appears at the lower border. 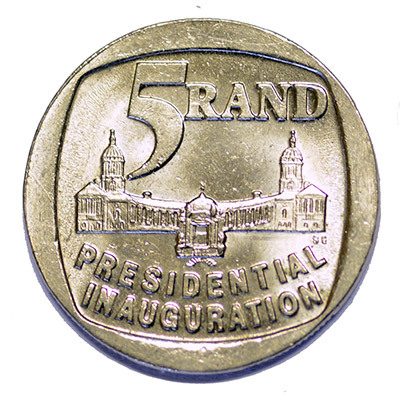 Overlapping branches are located just above the lower inscription.